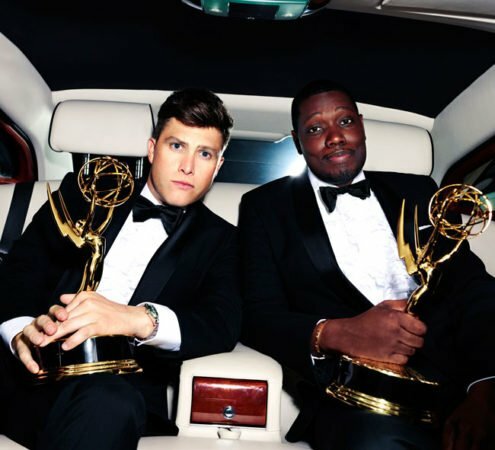 “Saturday Night Live’s” Colin Jost (left) and Michael Che host the 70th Primetime Emmy Awards, Monday, Sept. 17, on NBC. It’s largely about cable and streaming shows again at this year’s Primetime Emmy Awards, but broadcast networks still have some seats at the table. 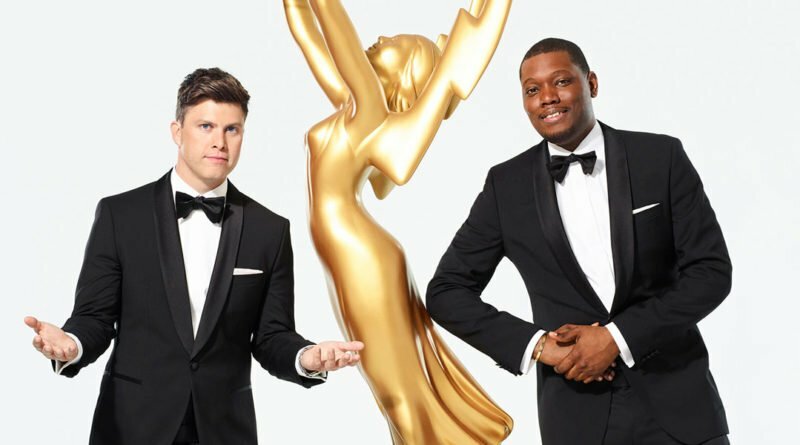 In fact, broadcast television continues to be the home of the event: NBC televises the 70th edition Monday, Sept. 17, with “Saturday Night Live’s” Michael Che and Colin Jost (current Emmy nominees themselves) hosting … and likely parrying some political humor among wisecracks about show business. They’ll surely be given room for that, since “SNL” mentor Lorne Michaels will be the executive producer of the ceremony at Los Angeles’ Microsoft Theater at L.A. Live. Topping the total nominations is HBO’s ”Game of Thrones” with 22, followed by HBO’s ”Westworld” and NBC’s “Saturday Night Live” itself — both with 21 – and then Hulu’s “The Handmaid’s Tale” with 20. Among programming sources, Netflix is the leader with 112 bids, with HBO (customarily the top-ranked platform when it comes to Primetime Emmy nominations) now coming in second with 108. 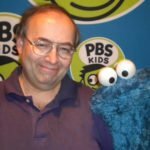 For those who might wish to engage in their own guesswork before or during the event, following are the nominees in a number of major Emmy categories.